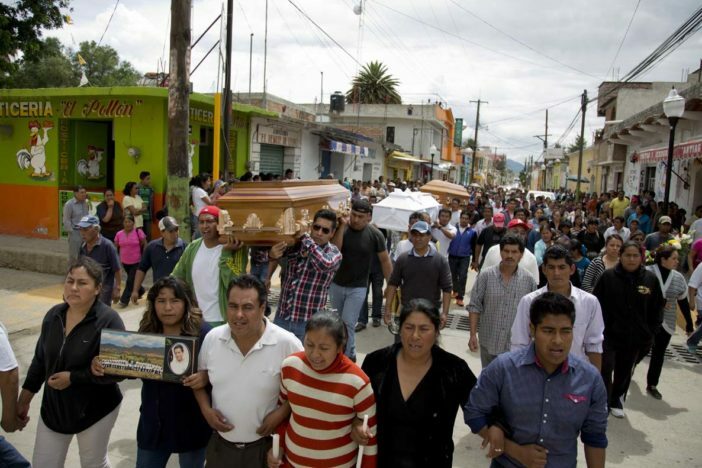 Mexican President Enrique Peña Nieto lamented the death of eight people during the violent clash between the National Coordination of Education Workers (CNTE) and police forces in Oaxaca on Sunday June 19, and ordered that the injured receive medical attention. He also instructed the Attorney General’s Office (PGR) to help Oaxaca’s prosecutor find the culprits and punish them. Meanwhile, plans were also taking shape for a dialogue between the government and the protesters about causes and solutions of their differences. Eight people died in the incident, 100 police officers and 53 civilians were injured and 23 people were arrested. None of the dead were teachers, seven of them died due to a gunshot and one more while handling explosives. Four of the 23 detainees are teachers. He reiterated that members of the Federal Police did use firearms. As a consequence of this situation, marches and demonstrations were organized in nine states (Mexico City, Guerrero, Chiapas, Morelos, Hidalgo, Nuevo León, Yucatán, Veracruz and Baja California Sur) by different social groups to show their solidarity with the victims and their families and condemn violence in Oaxaca. In a public letter shared on social networks, intellectuals, teachers, students and citizens also condemned the violence in Nochixtlán. “What happened on June 19, 2016 in Oaxaca set a limit that we Mexicans should never surpass,” they wrote. It is necessary that the conflict between teachers and the government is solved peacefully and through dialogue. We demand an immediate cessation of violence and to undertake a serious and rigorous revision of the educational reform, the signatories added. The letter, addressed to President Peña Nieto and the ministers of Interior and Education, was signed by a group of well known Mexican intelectuals such as Antonio Ortuño, Hugo Hiriart, Juan Villoro, Verónica Munguía, Francisco Hinojosa, Bernardo Fernández, Antonio Malpica, Christina Rivera Garza, Benito Taibo, Pablo Ortiz Monasterio, Marco Antonio Huerta, Francisco Torres Córdova, Gabriela Damían Miravete, Eduardo Hurtado, Arnoldo Kraus, Alejandro Magallanes and Eduardo Clavé, among others. Mexico’s Interior Ministry announced that authorities will meet with teachers tomorrow to listen to their demands and find solutions. The meeting will be headed by Interior Minister Miguel Ángel Osorio Chong.